Scott B. Emmerson, 60, of Fremont, OH passed away at his home with his wife by his side on Wednesday, October 18, 2017. He was born on October 26, 1956 in Toronto, Canada, the son of Charles and Marion (Matheson) Emmerson. Scott married Barbara Bodemann on May 24, 1986 in Phoenix, AZ and she survives in Fremont. 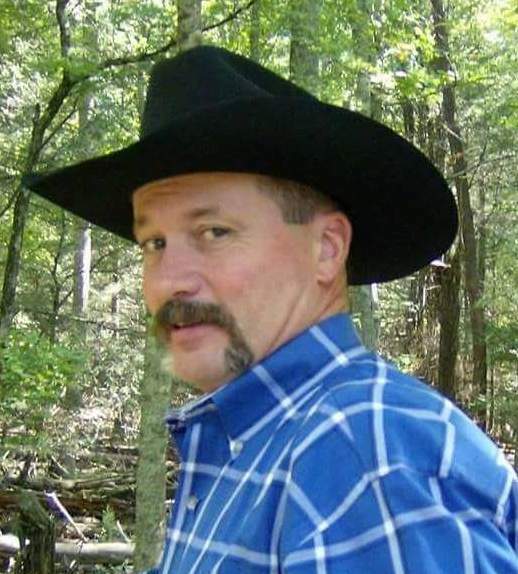 He was an Auto Mechanic for many years and enjoyed horseback riding and westerns. Scott truly loved to be a Cowboy. Scott is survived by his wife of thirty-one years, Barbara Emmerson, Fremont; children, Brandi (Scott) Skipper, AZ and Joseph (Katie) Sebetto, Fremont, OH; grandchildren, Brooke and Tyler Skipper, Hannah, Hailey, Cullen and Lola Sebetto; mother, Marion Emmerson; brother, Paul (Cheryl) Emmerson, Mississauga, Ontario, Canada; nephew Taylor Emmerson and niece, Blair Emmerson. He was preceded in death by his father, Charles Emmerson. Visitation: Tuesday, October 24, 2017 from 6 to 8 p.m. at Brock & Visser Funeral Home, 845 Devonshire Ave. Woodstock, Ontario, Canada, N4S 8Z4. Service: Wednesday, October 25, 2017; 11:00 a.m. at the funeral home with an hour of visitation prior to the service. I so admire the fight this man gave for so long and his silent courage to see his grandchildren grow. He will be missed.Sorry for your loss to the family. keep the special memories that you have close to your hearts forever. i could just tell him how much I miss him but at least he watches over me and is in peace.